With the Pokémon Go Buddy System, every Trainer has the opportunity to pick a Pokémon from their collection that will appear alongside their Trainer profile picture. Each player can have one active Buddy, but can switch his or her Buddy at any given time. 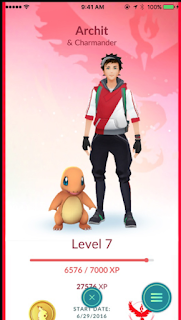 This Pokémon will not only show beside the player’s Trainer avatar (visible on the bottom left of the screen) it will also help to grant new rewards and experiences. 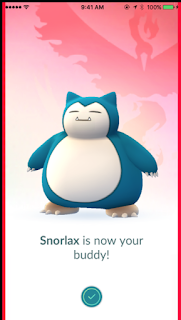 Once a Buddy Pokémon is chosen it will become your active Buddy. During this time, Candy will be gained by walking a certain distance with that Pokémon. For example, walking 2 kilometers with Bulbasaur as your active Buddy will award you with 1 Bulbasaur Candy. Note: The Maximum Speed while traveling straight ahead is 12.5 MPH. Anything over this speed limit will not count towards your Candy reward. Each Pokémon species is different when it comes to distance requirements to earn 1 Candy. The distance requirements may be 1km, 2km or 3km depending on the Pokémon species. The chart below lists the Buddy System distance requirements for every Pokémon, the distance required for Evolution and the Size of each Pokémon. #1. Distance Needed = Shows the distance (kilometers) required to earn 1 Candy. For example, using Caterpie as your Buddy will award 1 Caterpie Candy for each 1km traveled. Charmander requires 2km traveled to earn 1 Charmander Candy and Dratini requires 3km to earn 1 Dratini Candy. Note: The average person can walk 1km in 10 minutes, so you can earn 1 Candy every 10 - 30 minutes depending on your travel speed and the Buddy Pokémon you are using. #2. Distance Needed for Evolution = Shows the distance (kilometers) required to earn enough Candy for each species' evolution. For example, Bulbasaur requires 25 Candy to evolve into Ivysaur. Therefore, assuming you have 0 Bulbasaur Candy to start, it would take a total of 50 km traveled to earn enough Bulbasaur Candy to evolve (2km * 25 Candy required = 50km needed). #3. Time Required for Evolution = Calculates the time is would take for an average person using the Buddy System to collect enough Candy to evolve their Buddy Pokémon (assuming the average person takes 10 minutes to walk 1 kilometer). For example, to evolve a Squirtle, a person would need to walk 50km to gain the 25 Candy required. That 50 kilometers would take a total of 500 minutes, which equates to about 8.3 hours walked. #4. Size = The size of each Pokémon will determine how it will show on your screen. There are four different ways you can see your Buddy. These include Medium, Big, Shoulder & Flying. This update was announced by Niantic on September 2nd. More information to follow soon! Feel free to comment below with any questions, comments or ideas. Thanks! The buddy system is not working right when it takes away candy when it say a you earn one. There is no item needed, just go to your trainer window where you would see your Exp and badges. In the bottom right you can select it from the menu (along with journal and customize). All the 2km distance that you have should be 3km. Also included in this are the three starting pokemon and their evolutions. All the 3km distance you have need to be shifted to 5km. I love, love, love the Pokemon Buddy program. I've already evolved two pokemon that needed 10 and 22 candies! Also, if you switch your buddy before you use the candy (ie: evolve or power up), you will lose them. On my 3rd buddy now. I love this site! Some of us out here are still playing and this is my "go to" database for all things Pokemon--great job!